Do you remember that new bridal label I mentioned that had HEAVENLY COOL written all over it? House of Moirai? Well, luckily for you I managed to catch up with the Creative Director and Founder of the label, Barbaranne Heaton to discover everything from how this SUPER-SASSY bridal brand kick-started to who she is and who she’d love to dress (HINT: this collaboration wouldn’t end in a ‘Bad Romance‘, trust me). #1 Tell us a little about how House of Moirai started. When and how did the brand begin and launch? #3 Tell us about your first bridal collection, GODDESS by House of Moirai. What’s the inspiration behind the line? What type of bride is it aimed at? “Our new collection is a celebration of the journey we have taken as a business. We want to put Dubai on the map for modern day bridal and also get across our style, which goes against the normal grain of traditional bridal wear. #4 If House of Moirai and the GODDESS Collection could have a particular celebrity or person to be the face of the brand, who would it be? Who embodies the label in their style and personality? “I couldn’t say a particular celebrity, but if I had to chose a person to be a brand ambassador it would be someone who is trying to make a name for themselves for being independent and creative. Someone with a unique style, and look and doesn’t follow the crowd. #5 What type of materials does the brand use, and where are they sourced from? 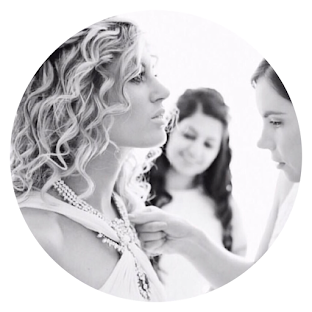 What can brides-to-be always rely on House of Moirai for? “We use a lot of silks and embroidered laces, we’re always sourcing new fabrics from all over the world. #6 Tell us about the design process for a new piece or collection. Where does it begin? Where does the inspiration for a new style or line often emerge from? “I have quite an organic process when it comes to designing. A lot of the time I let the fabric dictate what I’m designing but with our new collection I did set out with a definite idea of what the range would be like. Trends naturally influence us but I tend to lean toward fashion trends as opposed to bridal trends. I feel with the new line I’m strongly influenced by women in general. Soaking up what brides are looking for at our appointments, and translating it into our new line. I also want to inspire brides to try new looks, use their imagination. Our new collection is a lot more stripped back than our bespoke pieces. We intentionally worked on the silhouette as opposed to the details to allow brides to try on different shapes and experiment with their bridal style. #7 From your experience, when it comes to brides searching for their wedding dress, where should they start? What should they be thinking about? “Definitely try stuff on. Try on a variety of styles and shapes so you can rule out in your head what looks good on you and what doesn’t. #8 Where would you like to see the House of Moirai label in 10 years time? #9 Talk us through a regular work day, what do you get up to? #11 If you could create a bespoke gown for any celebrity (dead or alive) who would it be? #4 Favourite wine? “The fizzy kind! Want to discover more from House of Moirai? Click here.